Phaidon, London, 2004. 320 pp., 850 color and black-and-white illustrations, 10x11½". While the history of photography is a well-established canon, much less critical attention has been directed at the phenomenon of the photobook, which for many photographers is perhaps the most significant vehicle for the display of their work and the communication of their vision to a mass audience. In the first of two volumes, both co-edited by Martin Parr and Gerry Badger, The Photobook provides a comprehensive overview of the development of the photobook, from its inception at the dawn of photography in the early nineteenth century through to the radical Japanese photobooks of the 1960s and 70s, by way of the modernist and propaganda books of the 1930s and 40s. 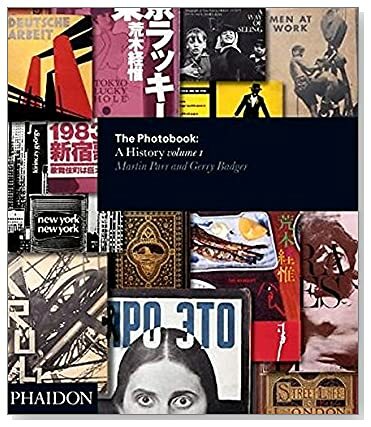 In his introduction, Badger argues that the photobook is one of the most significant photographic genres due to the extent of its distribution and level of availability, and contests the traditional notion that the history of photography is best represented by the original print. This study provides an important corrective to the traditional history of photography. The selection of photographers made by Badger and Parr challenges the popular canon, and their survey of the history of the photobook reveals a secret web of influence and interrelationships between photographers and photographic movements around the world. 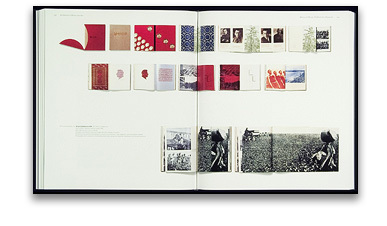 The book is divided into a series of thematic and broadly chronological chapters, each featuring a general introductory text providing background information and highlighting the dominant political and artistic influences on the photobook in the period, followed by more detailed discussion of the individual photobooks. The chapter texts are followed by spreads and images from over 200 books, which provide the central means of telling the history of the photobook. Chosen by Parr and Badger, these illustrations show around 200 of the most artistically and culturally important photobooks in three dimensions, with the cover or jacket and a selection of spreads from the book shown. Volume One also features an illuminating and provocative introduction, ‘The Photobook: Between the Film and the Novel’ by Badger, which is accompanied by a preface written by Parr.